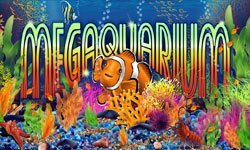 February 15, 2016, Road Town, British Virgin Islands (Press Release) – Grande Vegas Casino is giving players up to $150 bonus cash and 50 free spins to try the colorful new Megaquarium slot from Realtime Gaming. All the happy little Nemo fish in Megaquarium are sure to put a smile on players’ faces. So will its progressive three-stage bonus rounds that award free spins and up to 100X prize multipliers. The right reel is always Wild in Bonus Games. Bonus Games can trigger Super Games with 5X payouts and Mega Game symbols during that round of free spins starts a Mega Bonus Round where two reels are always Wild. The new underwater adventure is now in the download, instant-play and mobile casino. $4000 Independence Day Freeroll Slots Tournament at Grande Vegas Casino Features Pay Dirt! Try RTG's New Hillbillies Cashola Slot at Grande Vegas -- get a $125 Bonus Plus 50 Free Spins! Gotta Love the Valentines No Deposit Bonus at Grande Vegas Casino This Month!